It’s been a truck-heavy day at TLCB today, but no matter – we like trucks. This is one of our favourites, Tatra’s ridiculously capable Kolos 8×8. 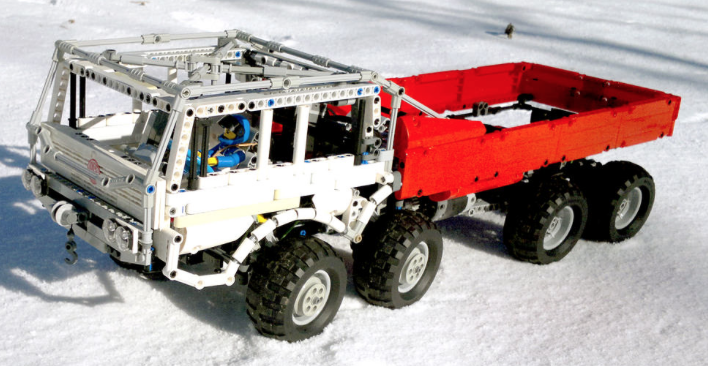 Horcik Designs of Flickr has built this one, complete with the legendary 8×8 drivetrain, in this case propelled by LEGO’s superb Power Functions motors. There’s more to see, including a video of the Tatra in action, at the link above.